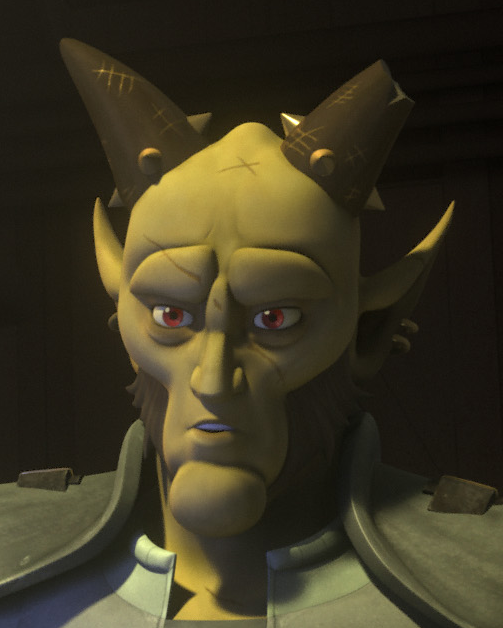 Description: Cikatro Vizago was a male Devaronian crime lord who ran the Broken Horn Syndicate on the planet Lothal during the reign of the Galactic Empire. Vizago's operations included smuggling and extortion, with his rule backed by dangerous IG-RM bodyguard and enforcer droids. On several occasions, Vizago employed the rebel crew of the starship Ghost, who performed smuggling runs in exchange for either credits or Imperial intelligence; the latter because the rebels frequently sought to disrupt the Empire's activities on Lothal. One such exchange involved the sale of stolen Imperial blaster rifles, after which Vizago gave the rebels information on the whereabouts of Wookiee slaves being transported to the mining world of Kessel. A later deal involved the rebels stealing T-7 ion disruptor rifles for Vizago. The Devaronian crime lord also possessed various acquaintances, such as fellow crime boss Azmorigan and the human smuggler Lando Calrissian, the latter of which Vizago sold land to. However, despite his rather untrustworthy dealings, the crew of the Ghost eventually sought out Viazgo's help in order to rescue their captured crewmate, Kanan Jarrus, who had been arrested by the Imperial authorities. As a trade, crew member Ezra Bridger revealed that Jarrus was a Jedi Knight, and offered Vizago the chance to claim a favor from a Jedi at a time of his choosing. Vizago helped the rebels, and told Bridger that he needed to steal an Imperial courier droid, which would have information on Jarrus' last known location. Vizago and Calrissian later abandoned Lothal after a skirmish with Imperial stormtroopers in the dilapidated village of "Tarkintown". 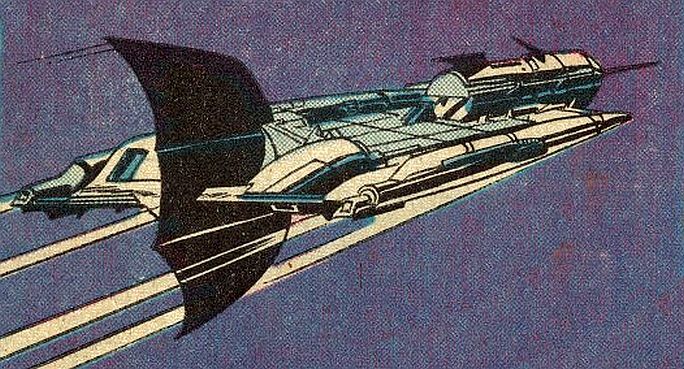 Sometime later, Vizago temporarily lost control of his own ship to the pirate Hondo Ohnaka, and was forced to call in Bridger's favor in order to retake it. Vizago was only truly interested in money and, according to Hera Syndulla, would "sell his mother to Jawas for a couple of credits." A strong believer in business, he possessed a few, if somewhat twisted, professional scruples that seemed to benefit only him. When paying the Ghost's crew a bounty he withheld half in exchange for a small piece of information disclosing the location of a group of Wookiee captives. Vizago once fled an attacking Imperial force after receiving half a shipment of disruptors, stiffing the Ghost Crew and stating he never paid for half a shipment. He furthermore expressed his hope that they would survive to continue bargaining with him, while cynically expressing they would nonetheless be no great loss. His sense of humor was good, if somewhat dark. As an information broker he valued information and knew how to bargain to put himself one step ahead of his clients. Of all the Ghost's crew he appeared to respect Ezra the most, for his cunning. 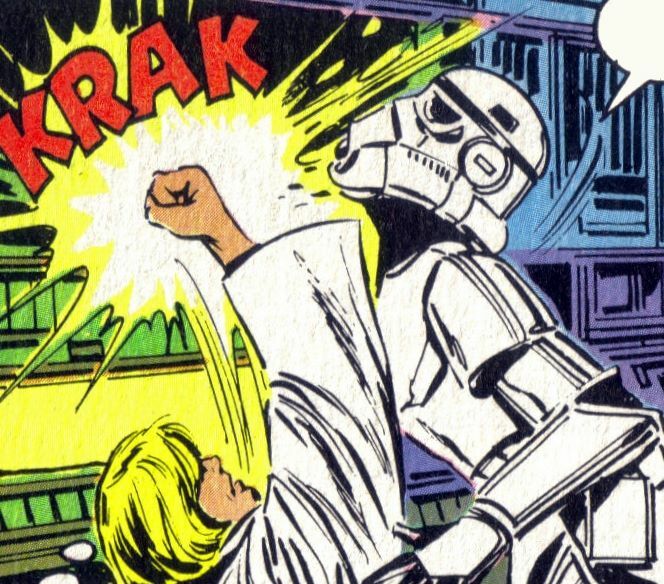 Despite his firm underworld ties and inherent self-interest, he showed some small degree of compassion, expressing genuine remorse for being unable to help Ezra find Kanan. He carried a powerful Vilmarh's Revenge blaster pistol and piloted a ship named the Broken Horn after his syndicate. Viewing himself as a businessman, Vizago was willing to smuggle the Spectres in Lothal in return for a payment of puffer pigs. Despite being imprisoned and forced to work aboard a Mining Guild ore crawler, Vizago remained optimistic that his rebel friends would rescue him. Vizago's hopes were fulfilled when the Spectres boarded the ore crawler, killed the Trandoshan overseers, and liberated the prisoners.